Shipping Dimensions 5" X 1.75" X 6.75"
this nozzle is just as advertise works as well as I wont it to. graet buy. Great addition for anyone that has pavers, boarders or just hard to get areas. Very strong nozzle. Excellent cleaning power. The before and after of the concrete I cleaned was remarkable. Very cool nozzle! Works GREAT! This is the only nozzle for me, I'll never use any of the others! 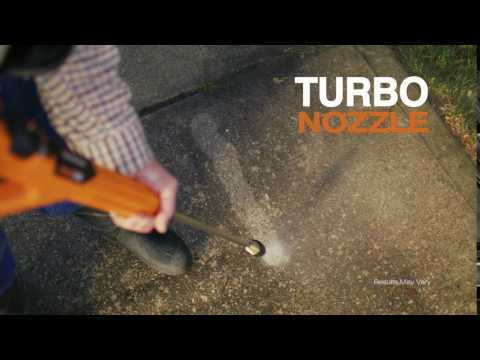 This nozzle worked great on cleaning my deck in preparation for re-staining. much more action than the standard nozzle can produce.